Η ΕΙΚΟΝΟΓΡΑΜΜΑΤΗ και ΠΑΛΑΙΟΓΡΑΜΜΙΚΗ ΓΡΑΦΗ (από Μπουζάνη - Bouzanis K.): The... Apocryphal Inscriptions on a coin of Great Alexander (Lord of the East) from Amphipolis! 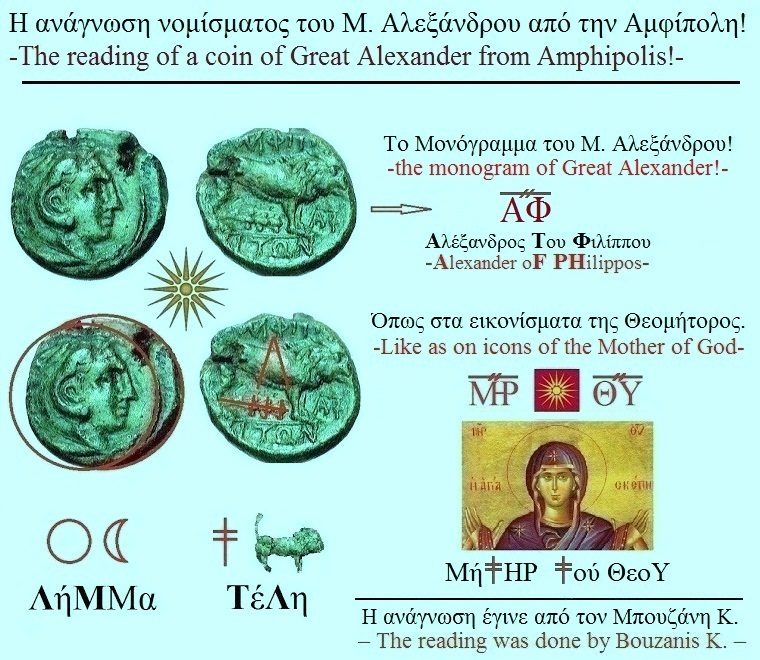 The... Apocryphal Inscriptions on a coin of Great Alexander (Lord of the East) from Amphipolis! 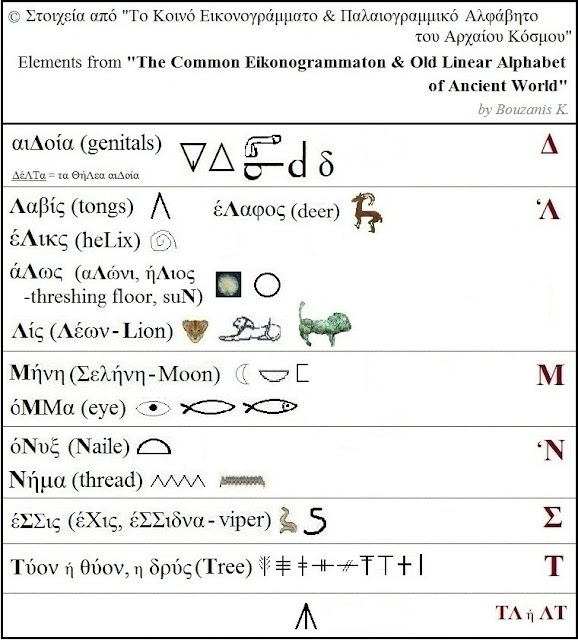 The Ancient World is full of inscriptions with the Eikonogrammato & Palaiogrammiko system! 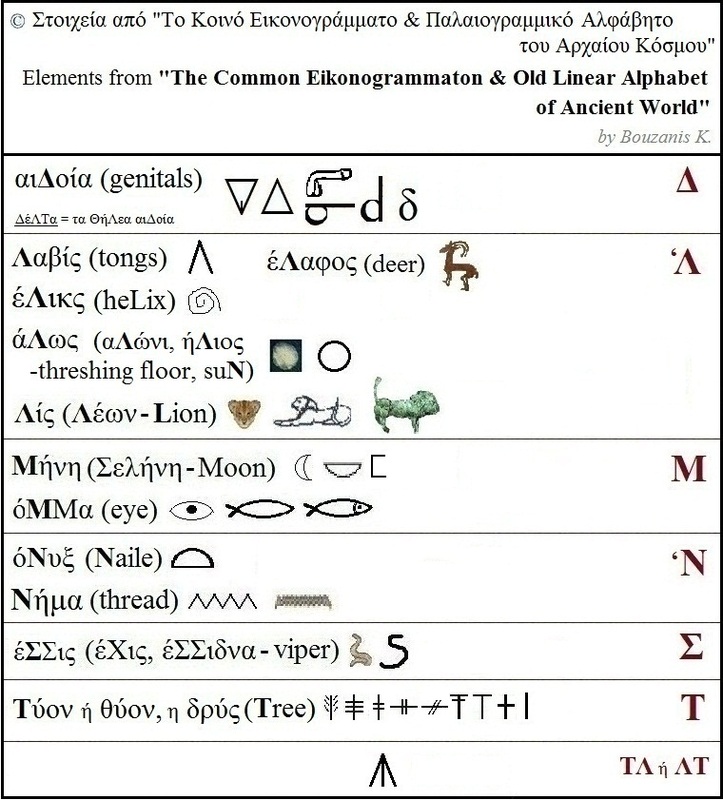 We, here, will teach the Eiconogrammati and, its sequel, the Palaiogrammiki Scripture. aLeKSaNDRos = the Lord of the East, Lord of the East of the Macedonian State. Name, here, is the royal title, title-name brought before him other two Macedonians Kings and thousand year before them, the thief Paris, the prince of Homeric Troy! Thirty years later, Alexander the 3rd will become the Lord of the East of the World, and he will pass Hellenism to the countries of the Rising Sun! Αναρτήθηκε από Μπουζάνης Κων. - Bouzanis K. στις 6:09:00 μ.μ.